An indigenous football program founded by former Socceroos player John Moriarty is on the cusp of achieving worldwide recognition after being shortlisted for the FIFA Diversity Award. John Moriarty Football is the first Australian organisation to be recognised by FIFA for the prestigious prize, with the project named among the final three in the running for the honour. Moriarty, the first indigenous Australian to be selected by the Socceroos, started JMF with his son James seven years ago in his birth place of Borroloola in the Northern Territory with the aim of giving opportunities to Indigenous youth through football. The program uses sport to promote good health and well-being to children in some of Australia’s most socially challenged regions. Moriarty said he was humbled to be in the running to win the award and hoped it would be a platform to further the program’s reach in the future. “I was shocked, no less, when I was told we were in the running to win the Diversity Award, but more so humbled at the great work done by our staff for the kids in the program,” he said. “It is wonderful to be recognised internationally by FIFA”. “The best part of this nomination is that it puts a tremendous focus on talented indigenous players as well as the work being done in the Northern Territory at a grassroots level. 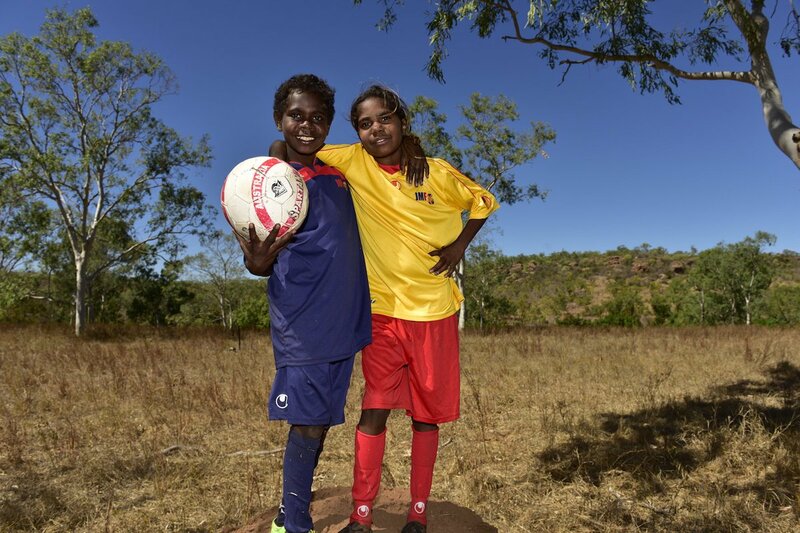 One of the major aims of the project is to create a pathway for Indigenous football players to take their game to the elite level and even the Socceroos and Matildas. With less than two per cent of Australian Football players in the A-League or W-League of Indigenous background, Moriarty believes the sport is missing out on a pipeline of talent which has never truly been nurtured. “Football has opened up so many avenues for me and I hope our program can do the same for Indigenous kids. 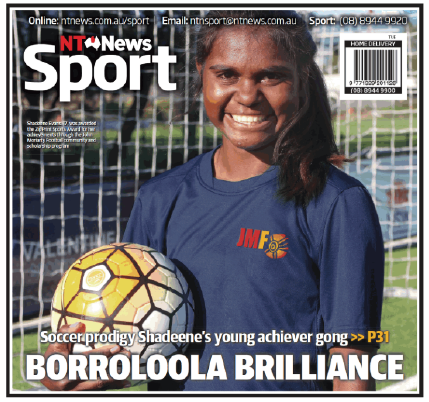 The program has already had its first success story with 17-year-old Borroloola local Shay Evans earning selection for the Young Matildas earlier this year. Matildas coach Alen Stajcic is a major supporter of JMF and was the first national team coach to scout remote indigenous talent when he ran a two-day coaching clinic in Borroloola in July. Moriarty is hopeful the award will help create extra funding for JMF to enable the program to grow. “We’ve been wanting to move JMF into many communities throughout the country,” he said. FIFA will announce the winner of the Diversity Award at a ceremony in London on September 23. JMF is facing competition from the UK’s Show Racism the Red Card organisation and Kenya’s Horn of Africa Development Initiative which targets teenage girls to turn them towards playing football instead of ethnic rivalry.